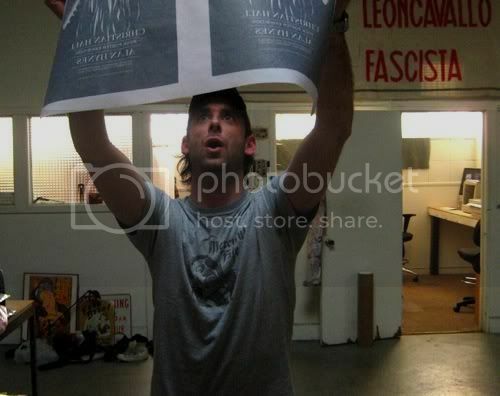 OMG Posters! » Archive Ten Questions With Alan Hynes - OMG Posters! I hope you guys are enjoying the interviews this week, I know I am. Today I sat down with an always-impressive designer from San Francisco. Let me introduce you to Mr. Alan Hynes. Age/Location: 34, San Francisco, California via Dublin, Ireland. 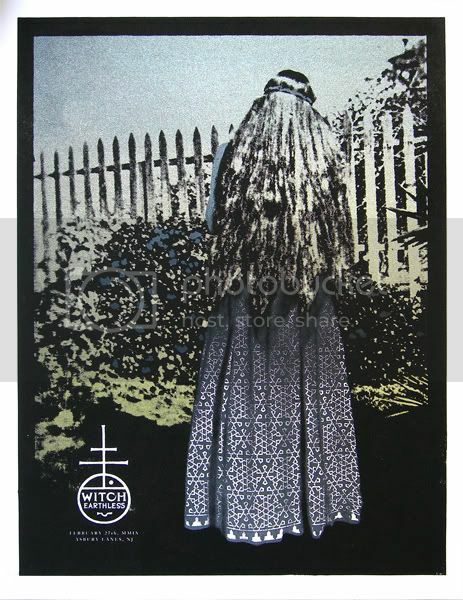 How You Got Into Doing Posters / First Poster / Years Doing Posters: As cliched a start in design as it sounds these days I was influenced by skateboard graphics and record covers, primarily the collage work of Winston Smith and John Yates for Alternative Tentacles. 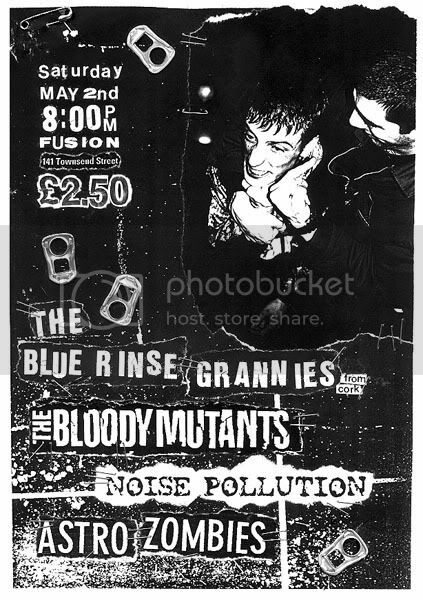 Probably about 1995, back home in Dublin I started doing photocopied flyers for the infamous Bloody Mutants, a much disliked punk band I played guitar in – more necessity than anything else really but they were enjoyable and cheap to make. This flyer was probably the first one as far as creating an ad for a show. 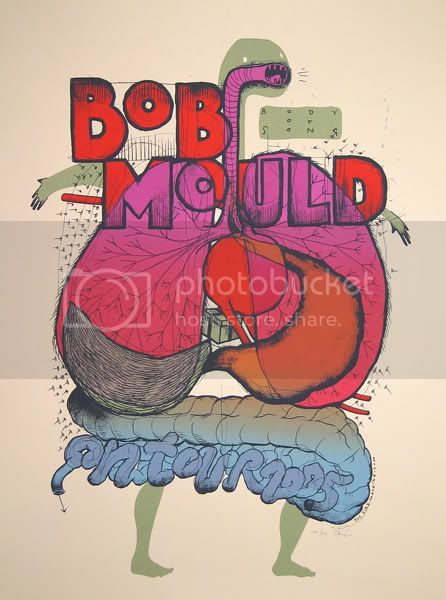 I had been introduced to screenprinting when i was about 15 and made a lot of t-shirts, ruining my mothers bathtub in the process but never applied it to making posters till later when I had moved San Francisco and hooked up with Ron Donovan and the Firehouse. 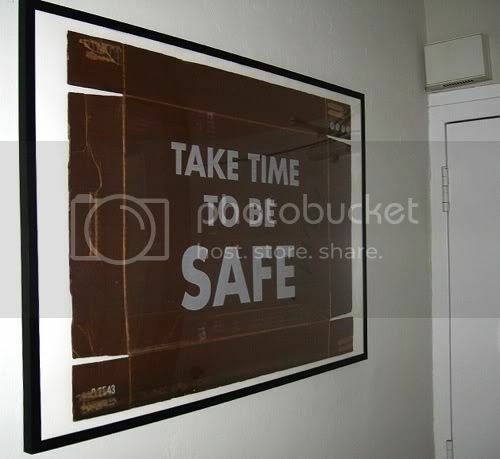 That was about 7 years ago and I’ve been making posters fairly consistently since then alongside designing skateboards. 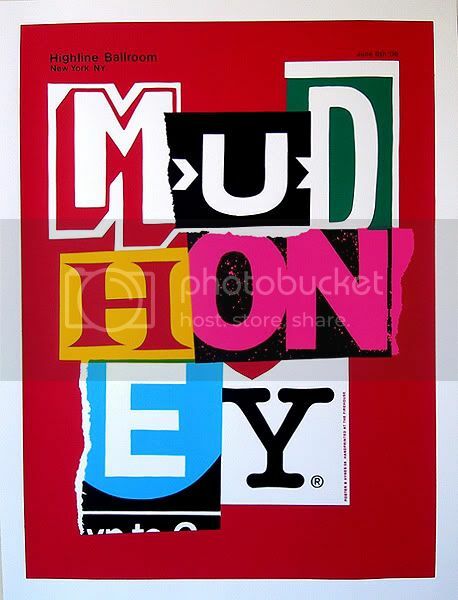 Favorite Poster / Art Print You’ve Done: The poster i like best would probably be Mudhoney New York ’09 – The idea came together fairly easily and I was able to create a collage using pieces of existing imagery which is a process i have a personal interest in. I created the entire poster by hand, cutting all rubylith separations when usually I’d use a computer for some parts of the process. Technically It was a little more complicated than some of my other posters as it uses more colours and various types of ink which enhance the collage feel of the various pieces. I was able to try out some new techniques and learn through the process. I kept the run pretty small so it wasn’t too tedious to print, the band liked it a lot and it sold well. It was a satisfying poster to make and I can still look at it without disliking too much about it. 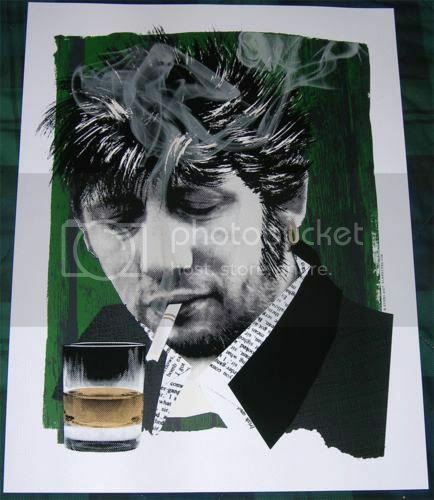 As far as an art print – it would be the Shane MacGowan portrait because, well its Shane MacGowan. Legend. Describe Your Creative Process a Bit: Being primarily a Graphic Designer my approach is pretty consistent and I usually let the problem guide the solution. For a concert poster I take into consideration who’s playing, where they’re playing and who needs to know. I’ll look for visual connections hopefully being able to combine them seamlessly to create a cohesive message and one that makes sense in relation to the band. I don’t work in any particular style but will look at a particular bands existing imagery like record covers, t- shirts etc and possibly take a style cue from there, be it as simple as a dominant colour scheme or typeface choice . Working this way leaves me a lot of room for a variety of solutions and doesn’t tie me down to a repetitive visual style, something I feel would be a severe handicap. All-time Favorite Poster / Art Print that Someone Else Did: I was given one of those standard ‘History of The Poster’ books when i was a teenager and amongst the usual, familiar posters that always seem to be featured was this one for Unicef. It always stood out to me and has definitely been a big influence in terms of defining what I think a poster should be. Obviously there are lots of posters I like and it would be near impossible to pick a favourite but I’ve always liked this one for its clarity and simplicity. Its a powerful poster and says everything it needs to say – nothing more, nothing less. Music Currently In Rotation: The new Stupids record, Facebreaker, Bob Mould “Life and Times”, Macc Lads, Mercyful Fate, Rose Tattoo, Warren Zevon. 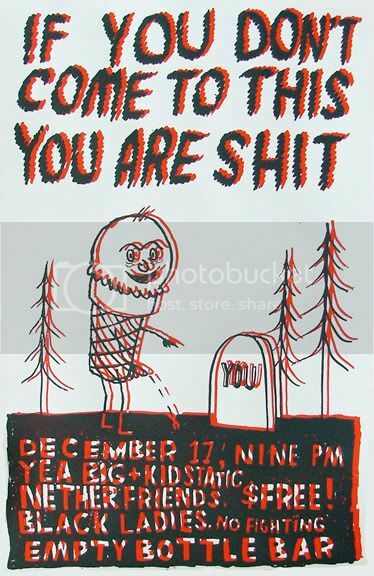 Last Print, Poster, or Toy Bought: This nasty little ice cream cone fella by Ryan Duggan. I look at it when i start to stray too far and forget what a gigposter should actually be. 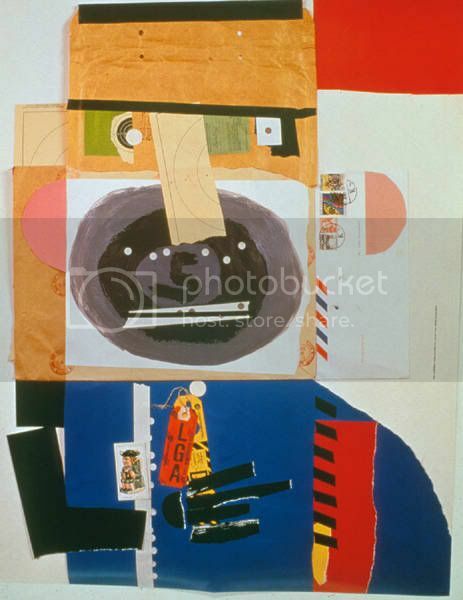 Art Hanging On Your Walls: We have a good amount of stuff hanging – In the sitting room there’s two Ivan Chermayeff prints, one of my favourite designers and a big inspiration. 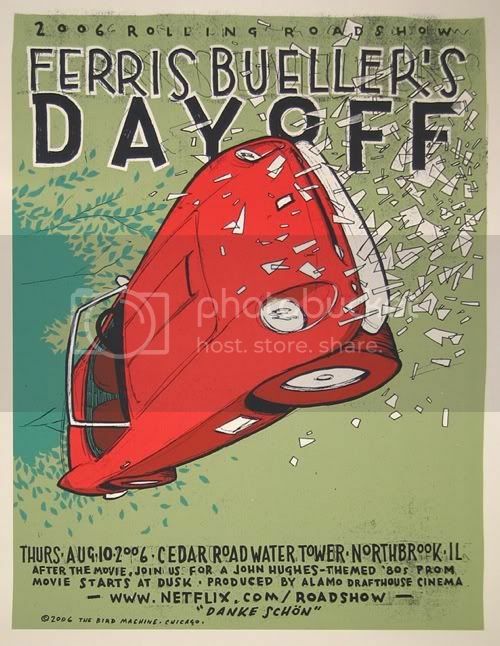 A couple of Jay Ryan’s, his fantastic Ferris Bueller print and his Bob Mould tour poster. Shane MacGowan by myself lurks above the TV. I’ve only got a single one hanging in my workspace, usually one of my own and I tend to rotate it a bit. Right now its a poster i did for Witch, mostly because my wife likes it better than the last one i had up. 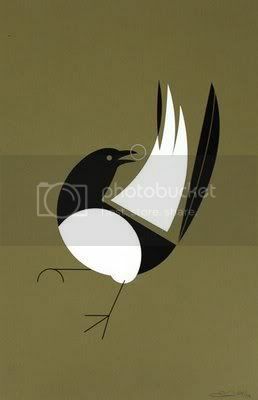 Eleanor Grosch’s print of a magpie hangs in the hallway, being From Ireland and still a little mired in silly superstition I try to salute him each day before I leave the house. This fruit box lid I salvaged from a recycling truck hangs opposite and offers somewhat more practical advice. There’s another small Chermayeff in the kitchen featuring a mischievous apple alongside this kitcheny oil painting my wife picked up at an estate sale – the artist is Warren F. Hermann and i know nothing else about him. My novelty condom collection hangs in the bathroom, a result of too many years hanging around dodgy bars in the city. Upcoming Stuff: The Jesus Lizard at the Casbah, Dinosaur Jr somewhere in Canada, a long unfinished Phil Lynott Art Print and travel to the third Flatstock Europe in Hamburg Germany. See more of Alan’s work at Gigposters.com and SecretSerpentsStore.com. These interviews are getting better and better. 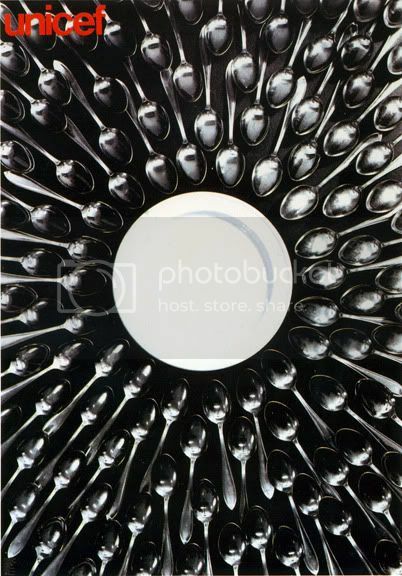 Great selection of images. Tear-iffic! 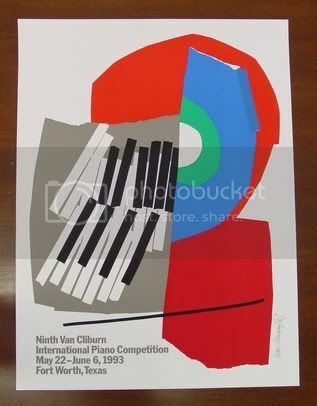 Alan Hynes is one of my favourite poster designers, and I have a couple of his prints in my list of all-time favourite works. Can’t wait to get them framed up. Thanks for the interview. Thanks for giving us a look at Alans own collection. I love the fruit box lid and the condom collection! 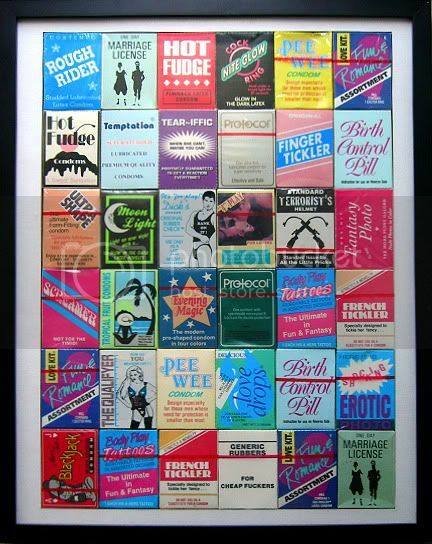 Those condom boxes represent some great graphic design work. Alan, you are the man. That Mudhoney poster of yours is my favorite as well. Is that Frodo’s Hobbit friend? I’d love to see a contest for smartest poster designer between Alan, Christian Helms, and Jason Munn. I’d probably throw Dirk Fowler in there as a wild card. Give them all a record for a new band nobody’s heard and see how they solve a poster for their first post-release gig. The ice cream cone poster has got to be one of the most awesome things I’ve ever seen. Amazing! Great article. 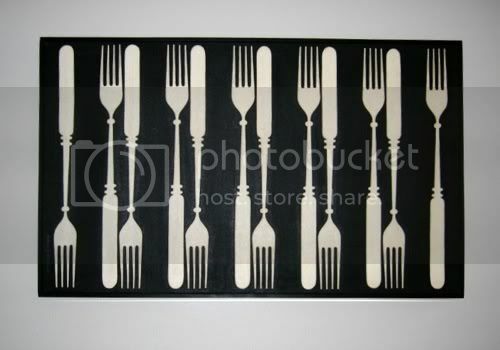 Alan Hynes is one of the most thoughtful, talented artists out there! Amazing ideas and meticulous craftsmanship add together to make genius again and again. Proud to say he’s printing at The Firehouse. One of my favorite designers hands down. KILLS posters. Great read. whats up with that I talian slogan behind Hynes ? My favorite’s the Shane MacGowan one.Legend? Yes,indeed.,he is just that!